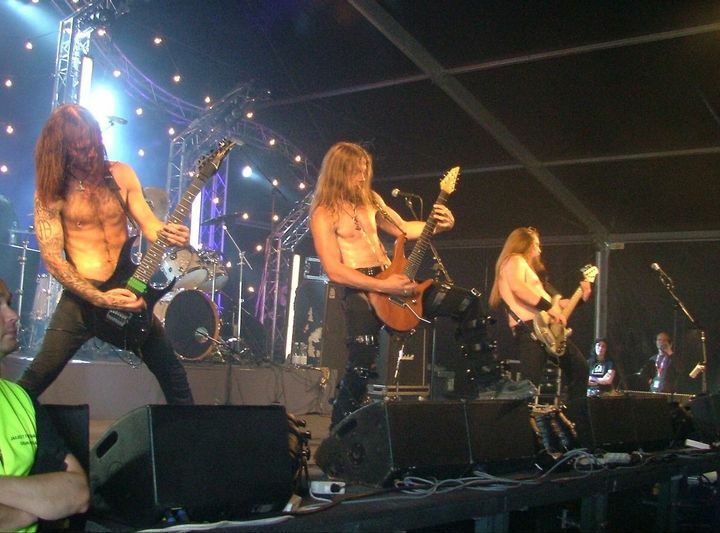 A throwback picture from our show at Tuska Open Air, quite a few years ago. Looking very much forward to going on the road again! The band played amazing, Tyr was really good but the sound of Viper Room was bad. Thank you for an Awesome Show! Hope to see you again Soon! Týr was absolutely amazing and played roughly a two hour set which was incredible!! The opening bands I was less familiar beforehand but have since been listening to their music! I wasnt super impressed with the venue, but the show itself was one of the best we have been to! Amazing show. Unfortunately Bandsintown fucked up the time and posted the start time as 3 hours later than the actual one. Missed 2 bands playing. I’ve waited four years to see Tyr and it was such a blessing to finally be able to! Their sound was amazing and it was the best concert I’ve ever been to!